We Raise "Locally Grown" Food in our CAFO - Is That Possible? There is no question the “locally grown food” phenomena is hot right now. I love farmers markets and before we know it, they will be displaying the results of their hard work. I like farmers markets because the produce I buy is usually fresh and grown locally. And sometimes that helps me out when my garden decides to rebel against me. Believe this or not, I have been struggling to grow rhubarb the past few years. Either too much rain or not enough. But no problem – I just go to my local farmers market where I can buy fresh rhubarb! But sometimes, the produce at our farmers markets is not always locally grown as I found out last year. One vendor was selling peaches that he bought from another farmer located in western U.S. This made me think about what “locally grown” food is. Is there a standard definition and is it possible that we raise “locally grown” pork in our hog barns? Yes, there is a definition of locally grown. According to the Food, Conservation and Energy Act of 2008, locally grown is defined as products transported less than 400 miles or within the state in which they are produced. So based on that definition, our pigs are LOCALLY GROWN! What is my basis for this? 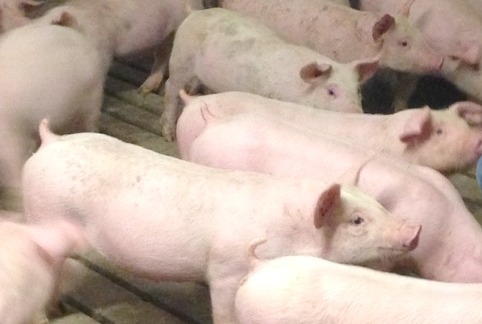 We raise our hogs in confinement barns, better known as CAFOs. CAFO stands for “concentrated animal feeding operation.” And really, all that means, is that we raise our hogs inside barns. Our barns are located on the farm where we live. And why do we use CAFOs? Because we have better control over the care of our hogs. Taking care of hogs outside is hard when it snows heavily and/or the temperatures are 40 below zero with the wind howling and, with the other weather extreme, pigs suffer when the temperatures are hot and humid (pigs do not sweat). Barns offer weather protection. And, I might add, farmers like them too. Not only are barns important in regards to protecting animals from the weather, but barns can also utilize efficiencies and technologies. 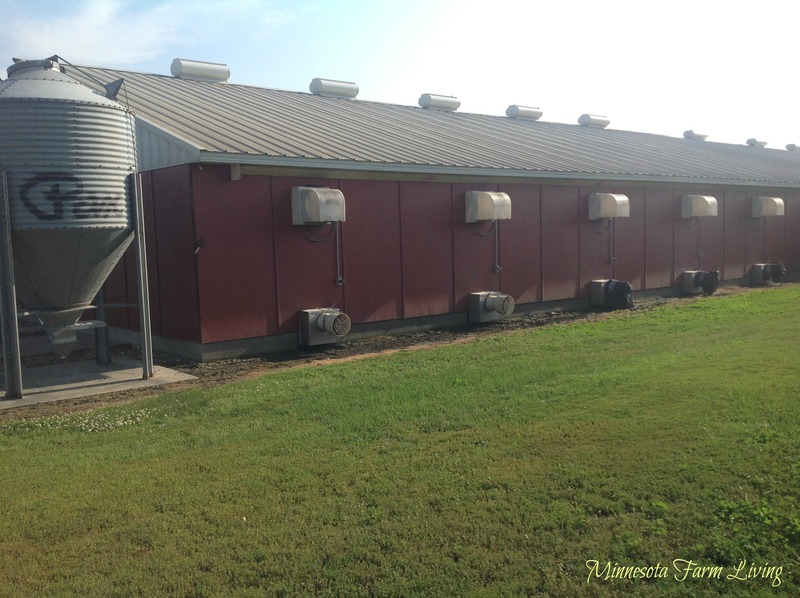 Controlling air flow, temperature and feed are examples of technologies that are used in CAFOs. Much of the care we give our pigs has local roots. Our pigs come to our farm from another farm about 15 miles away. The feed they are fed is mostly made from corn and soybeans. In fact, nearly 98% of what our pigs eat is corn and soybeans. We make our pig’s feed on our farm. The corn we use comes from our corn field right across the road (think of this as picking fresh tomatoes, lettuce and carrots from your garden for your family’s meal!) The soybean meal is from a local soybean processing plant (about 8 miles away). The processing plant grinds soybeans sold to them from local farmers. They make soybean meal and soy oil. 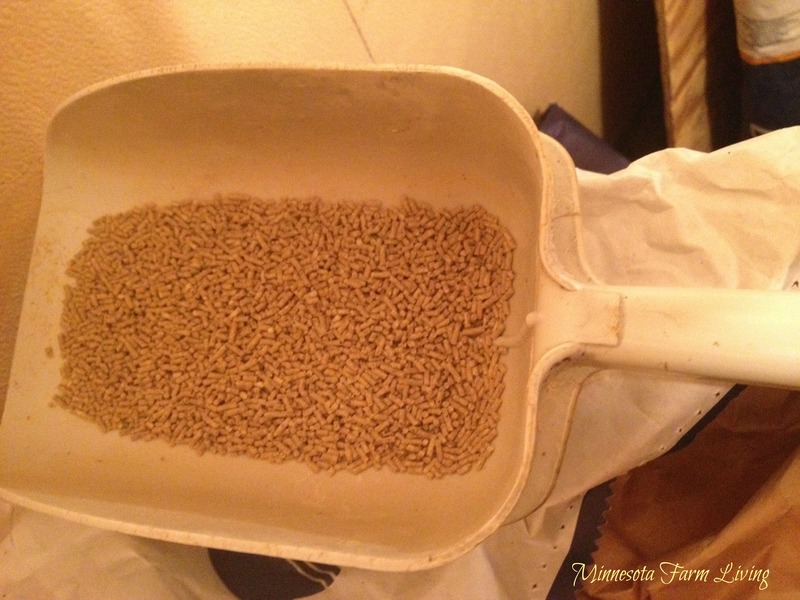 Farmers only use soybean meal for livestock feed. The labor we use is also local. And when it’s time to sell our hogs they are trucked to Hormel, which is about about 70 miles away. This, in all practicality, means our hogs are locally grown! Think about that when you are at your local grocery store’s meat counter. And, it also means we are more sustainable. Did you know hog farmers are more sustainable than ever before? So the next question may be, why don’t we sell directly to customers? First, we don’t have the population base or food processing infrastructure in southern Minnesota for people to buy the hogs raised here. And, we have a marketing contract with Hormel that works well for us and for them. We sell all our hogs to Hormel, except for the ones that don’t meet their criteria (they only want the best!). The hogs that don’t meet Hormel’s specifications are sold to a secondary market, where we receive considerably less money. So it’s in our best interest to have quality, healthy hogs. We do, by the way, save back a few hogs every year for our own freezer and our family’s freezers! Some people may call us a factory farm because we use CAFOs, but really we are just a family farm raising hogs the best way we know, And, yes, that means using confinement barns or CAFOs. I have great respect for you and your writing. Your best posts are – by far – the ones you write about your personal work and observations. Keep up the great work! I am so tired of America’s agriculture being under attack! I am so over the ” what is a family farm” debate. We raise hogs exactly the way you do. We do not own them. Now, their owners are in China. They are the same species, raised identically. We are a farming family, raising them. What is the difference, except one of perception? Kay, you are a farming family! That is my point. We are all a little different, but we are still family farms. This is my take away – that people understand there are families behind these farms. We are not “factory farms” or “big ag.” Those words are used to emote emotion in people to make them think there are not families behind these farms. Thank you for your comments. You are fantastic Wanda! Keep up the great work! Wanda, almost all “legit” local pork is a different breed than the traditional landrace dam and exotic terminal sire with pietran influence.